Rice. There are so many unique kinds of rice to buy in stores. You can find white rice, brown rice, jasmine rice, and basmati. Long-grain, short-grain, and medium-grain rice. Any rice you want, you can find it. Converted white rice. It exists, and you can get it. 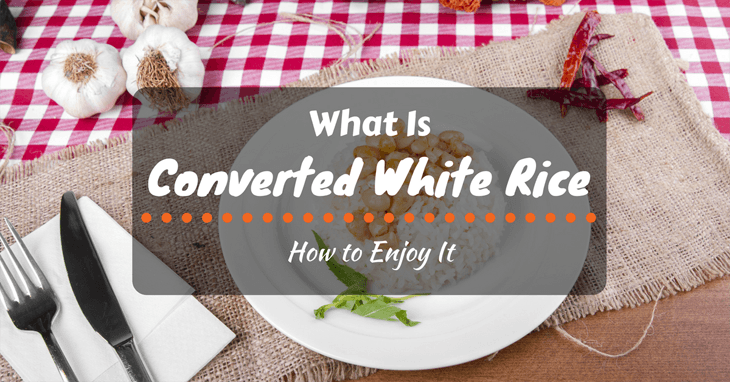 What is converted white rice? What do you do with it and how do you cook it? Are there any special places to buy it? Lastly, what can you make with it? I’ve got you covered. I’ll tell you about it, how to cook it, where to buy it, how to store it, and what are some recipes I recommend you use because they’re delicious! 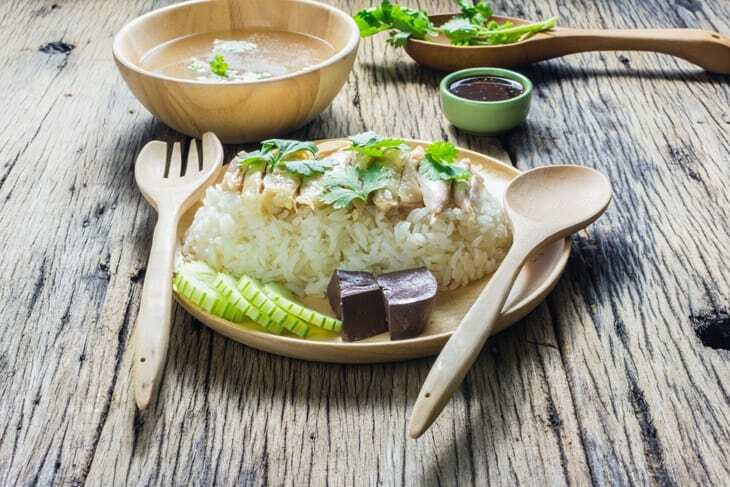 What Can You Create with Converted White Rice? Converted white rice is not long-grain or instant rice. It’s also known as parboiled rice, and it’s where the unshelled grain of rice was steam-pressed before the milling process took place. Converted white rice is faster to cook since the rice is cooked and then re-dried. This allows for the rice to be a quick-serve meal. We all like rice. It’s delicious and usually simple to make. Cooking converted white rice is no different, so have no fear. 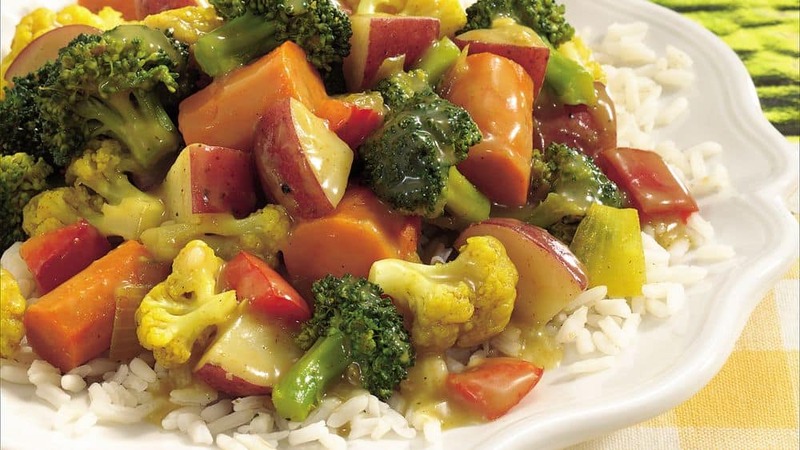 When cooking converted white rice, use 1 cup of converted white rice to every two ¼ cups of water. Add in any butter, oil, or seasoning you desire. Make sure to fluff the rice; otherwise, it could become chewy or burnt. You want to ensure you don't overcook the rice, which can be easy to do. Converted white rice needs about 20 minutes to cook. After cooking, allow the rice to sit off the heat for 5-7 minutes and then fluff. 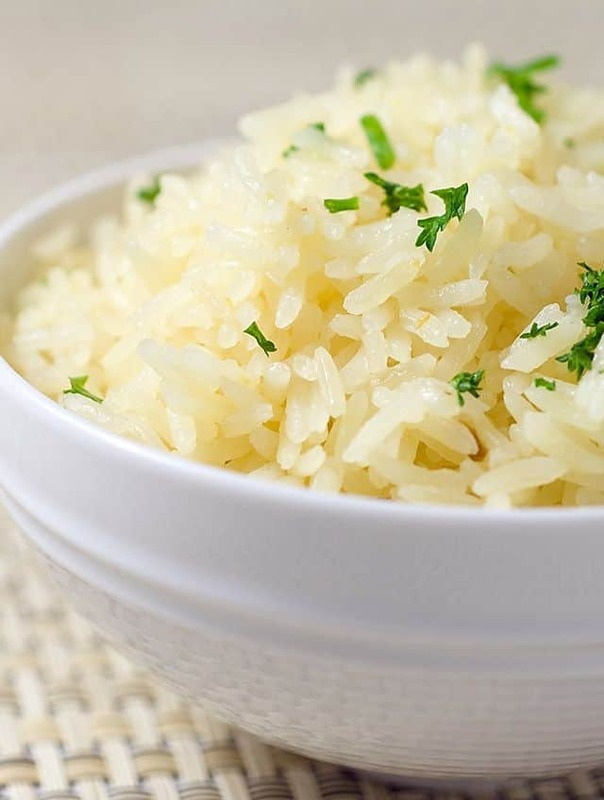 Simple rice to work with and a great staple to have in your pantry. Buying converted white rice can sound intimidating or daunting, but it's rather easy. Don't worry; I'm here to help you. You can find converted white rice, or parboiled rice, at your local grocery store and many online shops. Most online marketplaces offer a larger selection than what you would find at your local store and larger quantities. This can make it easier to stock up on the product, pay a lower unit price, and get it sent directly to your home. While converted white rice usually comes in bags or boxes, it’s best to store rice in an airtight container in a cool and dry place. You can even use a freezer bag if it seals tightly. Don’t leave dry rice in the bag since it can be opened easily, allowing the rice to stale or bugs to get in. I've had that happen. Little black bugs in my pantry were not what I wanted to see first thing in the morning. All because I left the bag of rice rolled under to seal. Those bugs got in, and I had a mess on my hands. Gross. 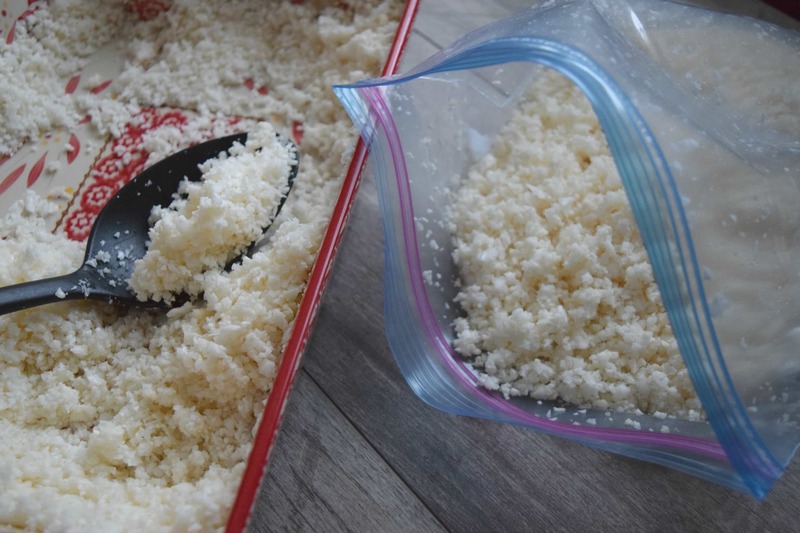 As for cooked converted white rice, it’s best to serve rice immediately, but if you need to store it, cool it quickly and place it in an airtight container. Keep it in the fridge up to 24 hours, after that the liquid leaves the rice and it becomes dry and can grow bacteria. When you do reheat the cooked rice, make sure to cook it thoroughly so that all the rice was heated correctly to kill potential bacteria. To make this, just place the rice, butter, and chicken broth in a pot. Bring to a boil. Reduce heat, season with salt and pepper, and cover. Simmer for 15-20 minutes until the rice is tender. Fluff and serve. To make this, melt the butter in a saucepan. Add rice and coat evenly. Add in chicken broth, vegetables, thyme, and pepper. Bring to a boil, cover, and reduce heat. Simmer for 15-20 minutes until rice is tender. Fluff and serve. Cook the rice in 1 ½ cups of water. Bring to a boil, reduce and simmer for 20 minutes. In a new saucepan, combine 1 ½ cups cooked rice, 1 1/12 cups milk, sugar, and salt. 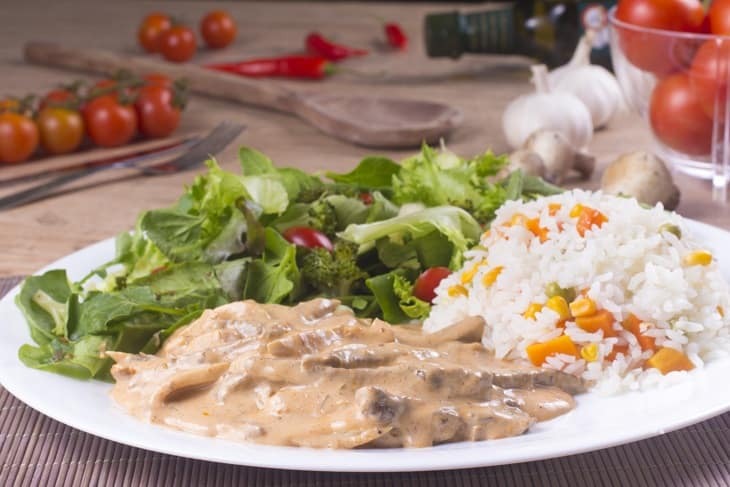 Cook until creamy. Stir in remaining milk, egg, and raisins. Cook for 2 minutes, stirring constantly. Remove from heat and stir in butter and vanilla. Cool and serve. When having a new staple on hand, it’s always great to start small and work up to larger quantities as you use the ingredient more and more. 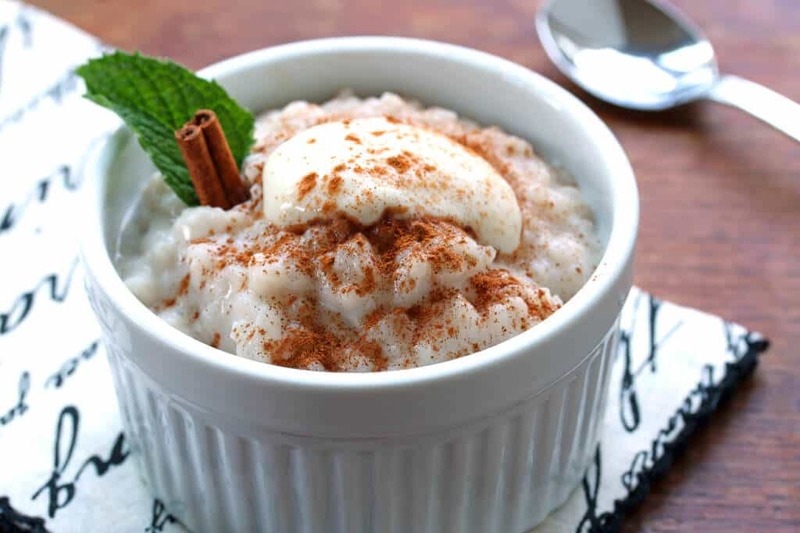 I love rice pudding, so I started with making that for dessert 3-4 times a week, but as I got more comfortable working with converted white rice, I started using more for dinner and lunches. I love rice, so I try to find a way to use it as much as I can. Converted white rice is a great staple to have on hand. It’s easy to cook, has great recipes, and you can convert any recipe with regular rice to converted white rice. It’s a simple difference that saves time and money. Rice is filling and inexpensive. It’s nutritious with 2 mg of sodium and 55 mg of potassium. It has 4.3 g of protein and offers a 4% daily amount of magnesium and 5% of vitamin B-6. This is a great, nutritious option for meals.